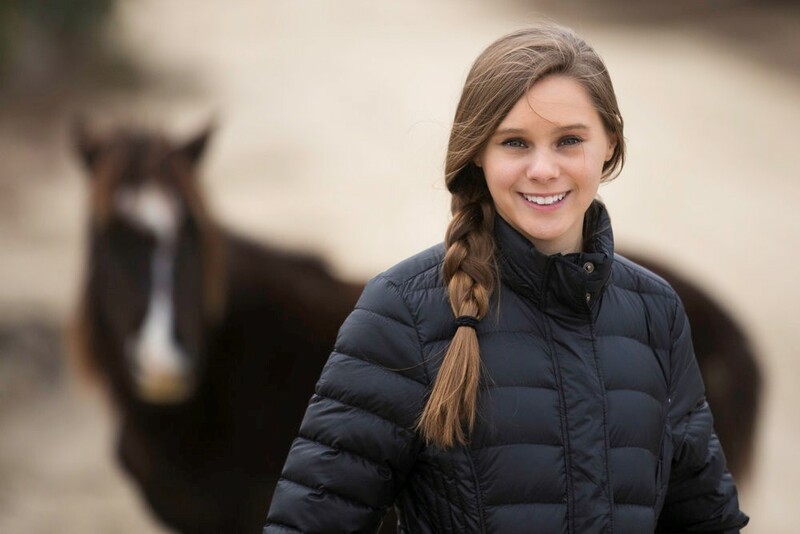 An avid horse lover, Krysta Rutherford, recently completed her Girl Scout Gold Award project, “The Forgotten Horses.” She documented through video the need to save the critically endangered breed of horse: the Colonial Spanish Mustang. The video engages people of all ages and brings awareness to the story and heritage of the animal. Her self-proclaimed love for the breed started in 2013 when Krysta adopted Katalina, a Corolla Spanish Mustang. Her horse had to be removed from the wild and it got Krysta thinking about horses on the critically endangered breed list. She recognized the enormous benefits the horses brought to her community, including their ability to help people with disabilities, diseases or other special conditions. For more than a year, Krysta traveled thousands of miles in her quest to assemble the story of the Colonial Spanish Mustang. She visited places in Virginia, North and South Carolina and even Texas! Through her Girl Scout Gold Award project, she was able to meet and visit experts in the field of conservation that added their voices to the video. "This project has continued to reinforce what my career may be in the future,” she said. “I am planning to focus on environmental science/studies with a focus on wildlife and/or marine life conservation." The film has reached thousands of people through event showings, articles, presentations and other postings. The project continues to be sustained with the help of several organizations in a number of ways, including links to the film on their website. As a result of her project, a number of individuals have asked how they can help the cause. Krysta has even received an email from someone in France who has asked for a copy of the film! Click here to watch Krysta's Gold Award video.